Today is Early Vote Saturday for the 2015 Mayoral election, and according to some of my friends in the know, Latinos made up 8% of the total vote cast, thus far. No doubt, this is dismal, and if Latinos expect to play an influential part in this election, Latino turnout must increase–and in favor of Sylvester Turner, Chris Brown, Amanda Edwards, David Robinson, Richard Nguyen, Mike Laster, and Jason Cisneroz. On Friday, Mayoral candidate Sylvester Turner earned the endorsement of Congressman Joaquin Castro, who served in the Texas Lege with Turner. Former Mayoral candidate Adrian Garcia held a press conference outside of Moody Park to urge Latinos to come out and vote and support Sylvester Turner. HISD Trustee Juliet Stipeche also added her support for Turner. Turner has long been a supporter of Latino issues, while also defending against some of the worst policies offered by Republicans (who support Bill King). Turner also offers the best and workable solutions to Houston’s challenges, whether it increasing public safety, fixing our streets, or expanding economic opportunity for all–and through fiscally responsible methods. I urge Latinos in Houston to vote Sylvester Turner. Today (Saturday, 12/5/2015) is a gorgeous day. There is no excuse to not show up at the polls. VOTE TODAY! Mayor: Sylvester Turner ~ Rep. Turner is the only candidate with a realistic plan to keep Houston moving forward. He not only recognizes the diversity of Houston, but wants to move the city toward equality for all, especially regarding equality in socioeconomic status. When it comes to roads, Rep. Turner wants to ensure they are paid for, rather than drown the City in debt. The City faces some challenges in the future and it will take someone like Rep. Turner to stand up to gloom-n-doom ideas like his opponent’s, and, instead, stand up for the needs of the City. Vote Sylvester Turner for Mayor. Controller: Chris Brown ~ Chris Brown has the institutional knowledge–twelve years of working in city finances–that taxpayers need. He’s a professional in the field and offers years of experience in producing effective governmental audits. Chris Brown will be a practical, forward-thinking City Controller. Houston needs a Controller who will ensure that our City Council members are presented with options, rather than a financial map to nowhere. I’m voting Chris Brown for City Controller. At-Large 2: David Robinson. Robinson had a great first term. He leads and brings people together. Vote Robinson! At-Large 4: Amanda Edwards ~ Edwards is a forward-thinking woman who offers some much needed energy to the Council table. I’m voting Edwards. District H: Jason Cisneroz ~ Did you see Jason’s performance on Viva Houston? Jason is the young, articulate, energetic, Latino candidate District H needs to ensure its needs are addressed. Vote Jason! District J: Mike Laster ~ Mike’s the incumbent. He’s done a great job–and he served as my Council Member for a couple of years before I moved to District F. Vote Laster! District F: Richard Nguyen ~ Let’s get Richard re-elected. He has served our neighborhoods well, even the small part on “this” side of the beltway. Richard represents everyone in the district, and that’s why I like residing in F. Vote Nguyen! December 2 – December 5: 7:00 a.m. – 7:00 p.m.
December 6: 1:00 p.m. – 6:00 p.m.
A little bird tells me that the 5th Annual Houston Walk for Mental Health Awareness is already 68% (and counting) of the way to meeting its goal of $25,000. Make your donation today–or sign up to participate and raise money! Kudos to my friend C. Patrick McIlvain for making this event and fundraiser a Houston tradition. With understudy Mrs. Conroe Texas America 2016, Esmeralda Friedman in case Mayor Annise Parker is unable to attended. This is a family fun event! You can walk and even optionally bring your dog to the walk so lace up your sneakers and grab your leash, this is also a dog friendly event! All doggies on leash with collar have free access to our “Pup Tent” (sponsored by Bayou City Veterinary Hospital), humans MUST be accompanied by a doggie to gain entrance. The Walk also features a wonderful Mental Health Expo with exciting exhibits, resource booths to help you find the right people to help in your family journey and of course refreshments, family entertainment and so much more! For all the up to the minute event details, check us out on Facebook if you have not “Liked” us, please, do take a moment while there and do that. Little Joe Wows MOT Crowd–Again! Posted on October 5, 2015 | Comments Off on Little Joe Wows MOT Crowd–Again! 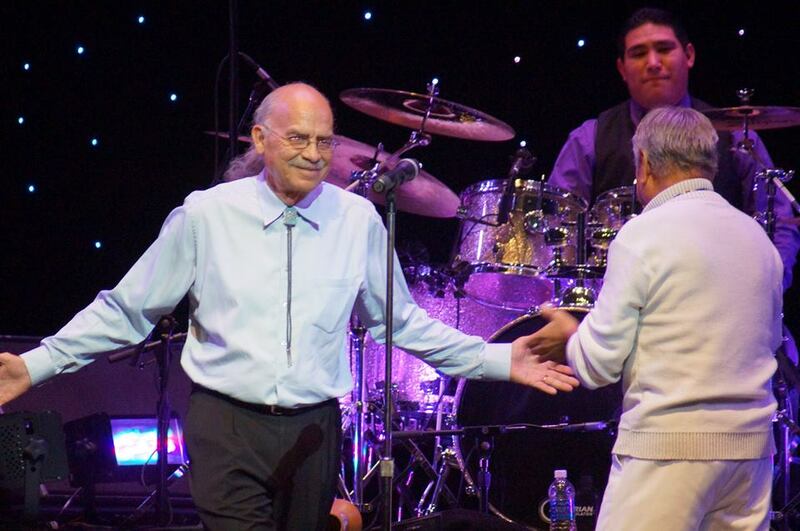 Little Joe y La Familia headlined Friday night’s line-up at the 36th Annual Festival Chicano. Energized by another SRO-out crowd–including thousands seated on the hill–La Familia returned the favor with an energized show packed with hits and a couple of surprises. Heading toward 75, Little Joe has not lost the voice and stage presence that made him an international superstar who has recorded and toured with greats, such as Willie Nelson and Tierra. Kicking off the gig with a medley of his early hits, such as Cuidadito and La Bola Negra, the hits continued. Even Little Joe felt the energy of the crowd when the they joined him on Prieta Linda. One surprise was LJ giving the main mic to bassist Mike Torres, III who belted out the salsa-tinged cumbia, El Alacran. Later, Little Joe would belt out Cartas Marcadas, Chicano national anthem Las Nubes, Borrachera, Cuando Salgo a Los Campos, and the tried and true Pa’ Todo El Año. 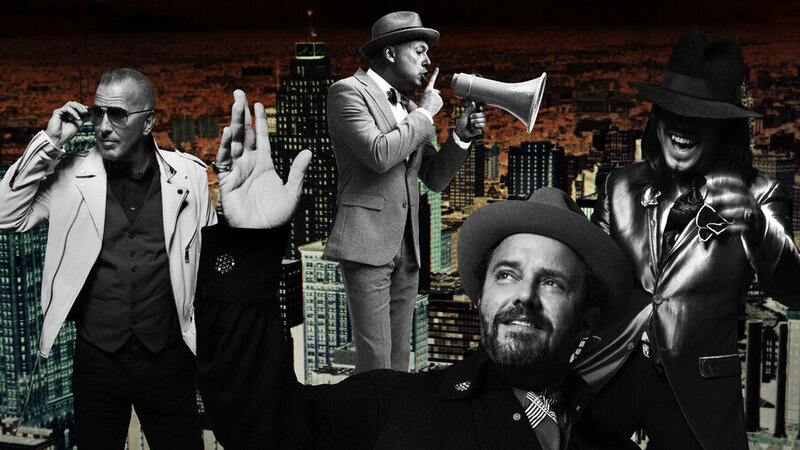 In between, Little Joe would bring out Neal Sharpe who would offer some R&B, as well as Houston Jazz pianist/keyboardist and La Familia alumnus Gilbert Sedeño for an instrumental version of Mañana de Carnaval–flawlessly and without having rehearsed prior to the concert. A poignant moment came when Little Joe brought out Festival organizer/founder Daniel Bustamante to recognize his most recent achievement: Recognition by Mayor Annise Parker as an Hispanic Heritage honoree for Arts in the Community. Daniel will receive his award on Monday, October 5. A well-deserved recognition after 36 years of organizing an even which attracts thousands of Chicanos/Mexican Americans for a weekend of beautiful music and culture. Earlier in the evening, we enjoyed the sounds of Cañonazo and Acordeon powerhouse AJ Castillo. So, it was a great night of dancing in your seats (since the union ushers didn’t allow any dancing in the aisles.) The best way to celebrate this event is with friends and family and I was lucky enough to enjoy it with both. Until the next Festival Chicano, ¡Que viva La Musica Tejana! Me and 10,000 of my closest friends. Comments Off on Little Joe Wows MOT Crowd–Again! Emerging Latino Leaders Fellowship program has started a video interview series featuring Houston mayoral candidates with the purpose of informing young voters about the local 2015 elections. They kick-off the series with Adrian Garcia. Emerging Latino Leaders Fellowship, Mi Familia Vota, El Gato Media Network, and Kalipsous Production joined forces to organize and produce interviews with Houston’s mayoral candidates with the goal of attracting the youth to vote this November. Emerging Latino Leaders is a collaboration between Rice University Center for Civic Leadership and Mi Familia Vota, a non-profit, non-partisan organization dedicated to increasing Latino civic engagement. ELL provides future leaders with the confidence, support, and skills needed to take an active role in their communities. ELL Fellowship, along with other groups, will be hosting a Mayoral Candidate Forum on September 12, 2015 at Rice University at 10:30AM. Stay tuned! The Adrian Garcia for Mayor campaign reports raising $1.5 million in the 56 days it had to raise funds before the first reporting deadline. Giving credit to grassroots energy and a base of loyal supporters, Garcia states that voters are attracted to his fiscally responsible management practices during his terms as Sheriff. Local pundits had stated that for Garcia to look viable he would need to report raising at least $500k during this period, shortened because he was still on the job as Sheriff. Pundits also stated he would need to raise $2 million or more to run a viable campaign thru the first round. What this blogger noticed upon Garcia’s launch was a burst of energy and excitement from supporters that I hadn’t seen in a local campaign, especially from people who aren’t always involved in the political process. From Garcia, I expect a pretty different campaign than what we have seen from others in the recent past. That said, for perspective, Garcia’s fundraising abilities seem to be pretty awesome if one considers the first Annise Parker campaign in 2009 raised about $800,000 in a period of five months. 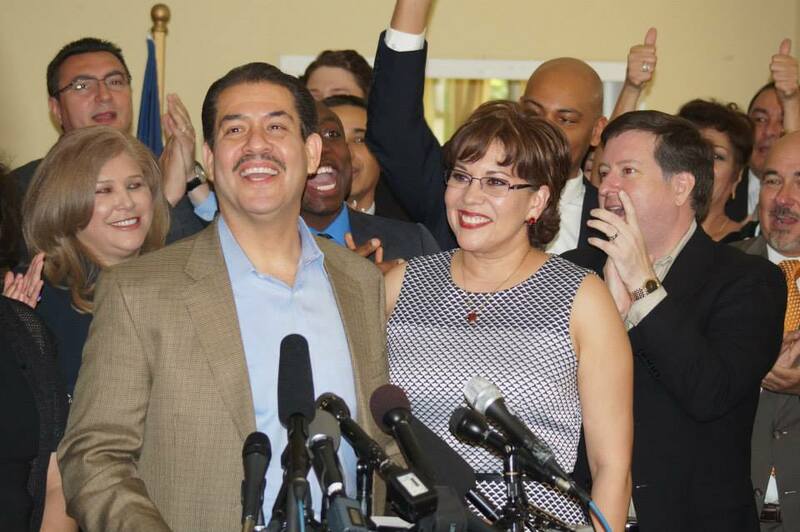 Garcia’s campaign calls it unprecedented in Harris County. I’m not surprised that he could do it given the energy that is backing him up, but I think I did let out a “¡Hijole!” when I read the press release. Or something like that. As some will recall, Garcia opponent, Sylvester Turner went on a fundraising frenzy during his re-election campaign for State Representative and it is known that he will be transferring as much of the million dollars in his legislative account into his mayoral campaign account as possible. It is what it is, I guess. Houston Mayoral Candidate Forums – This Week! Posted on June 2, 2015 | Comments Off on Houston Mayoral Candidate Forums – This Week! Comments Off on Houston Mayoral Candidate Forums – This Week!